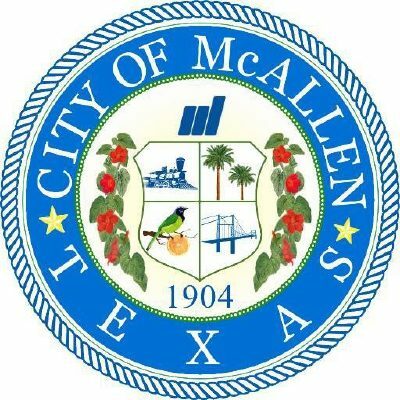 McALLEN — Candidates running for office will be able to receive a maximum contribution from a single person or political action committee of $10,000 if running for mayor and $5,000 if running for city commissioner, the city commission voted on Monday, tweaking the ordinance that has been in existence. This financial cap for campaign contributions applies to any regular, runoff or special election. For example, a donor could contribute $5,000 to a city commissioner for the upcoming May 4 general election and an additional $5,000 if that race went to a runoff election. If that same donor were to make a donation after a candidate was elected but before the filing period for the next election, this would count against the candidate’s cap for that candidate’s next election. City officials said this ordinance should clear up confusion about campaign contributions, which stemmed from the District 1 special election to fill the seat vacated by now-Hidalgo County Judge, Richard Cortez. The Border Health PAC contributed $10,000 to former candidate Joseph M. Caporusso, who did not win the seat. Timothy Wilkins, another candidate in that District 1 election who ran unsuccessfully, called the $10,000 contribution a “major violation” in a formal complaint filed with the city. At the time, in January 2018, Pagan mostly disagreed with Wilkins’ interpretation of the ordinance. Caporusso also said at the time that he interpreted the ordinance to be that PACs were excluded from the cap. The Border Health PAC said at the time that it is aware of all local, state and federal regulations, and that the group did not violate any McAllen laws. City commissioners took up this ordinance in November, but asked Pagan’s office to clarify some language in the law. Pagan’s office brought the ordinance back to city commissioners at Monday’s meeting, where they voted unanimously on the revised ordinance. District 1 Commissioner Javier Villalobos, who won that special election in 2018, was present and voted in favor of the new ordinance.